Capristo offers up an aero carbon body kit with lots of aggression without any extra power. But do we really need more? There are owners who have a so-so appearance and performing car and look to the potential of what they can become. Then there are owners who have beautiful cars that excel in the "show me what you got" category. However, what these two groups have in common is that they know that things can be pushed further. Take, for instance, this gorgeous RS5 B9 and the "where it is now" with a new stance and body kit. 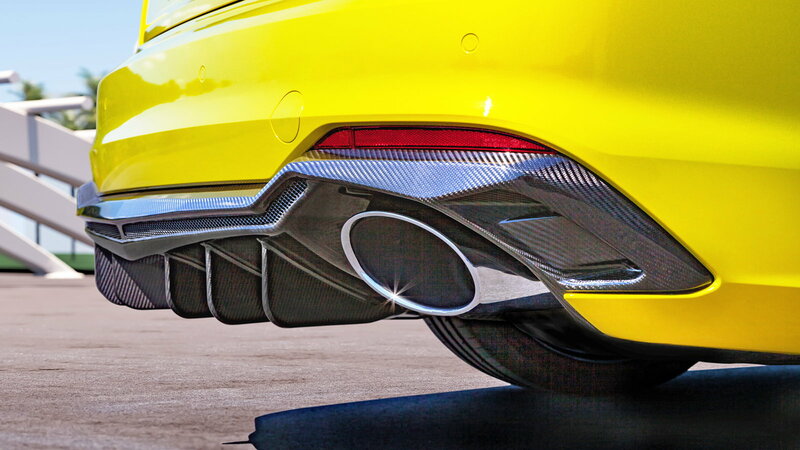 Capristo Automotive owes their notoriety to their amazing muffler systems, but they do offer a small range of body kits, one of which is for the RS5 B9. A new chin spoiler goes up front to improve aero and also cause a small panic when pulling up to a concrete parking stop. 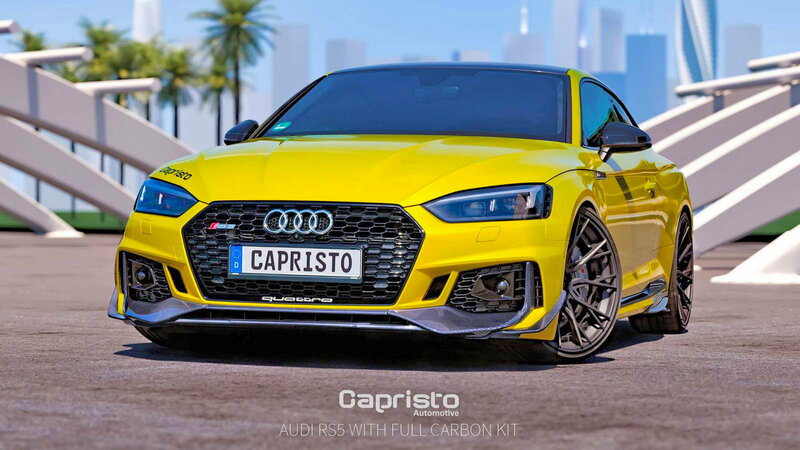 >>Join the conversation about the Capristo Body Kit for the RS5 B9 right here in the AudiWorld forum! To get that aggressive DTM look (aka NASCAR with a German accent), Capristo has added winglets on the side skirts to further draft air past the vehicle. As for other kits produced for multiple vehicles, Capristo crafted a kit for the car that seems bespoke as to how well it fits against the car. The rear of the car gains a nice shiny diffuser to finish things off with curved angles to fit a double oval exhaust system. 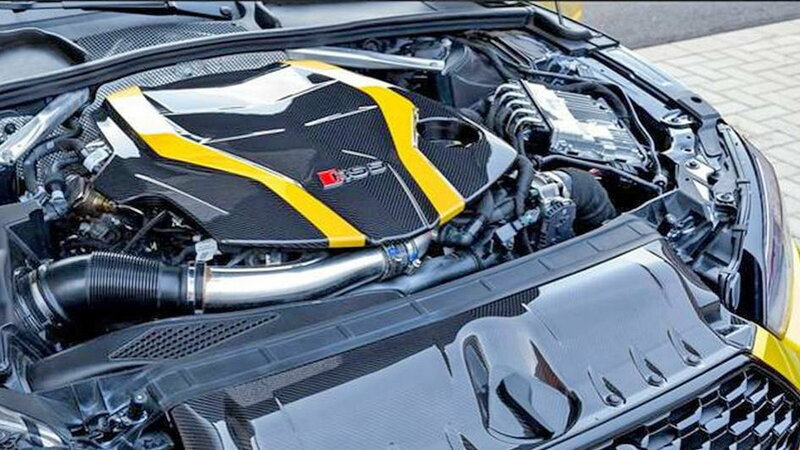 But Capristo wasn't done there as there are a glossy carbon fiber engine cover and an air intake under the hood. They don't add any power to the car, but who cares? The car is already getting 450 horsepower. 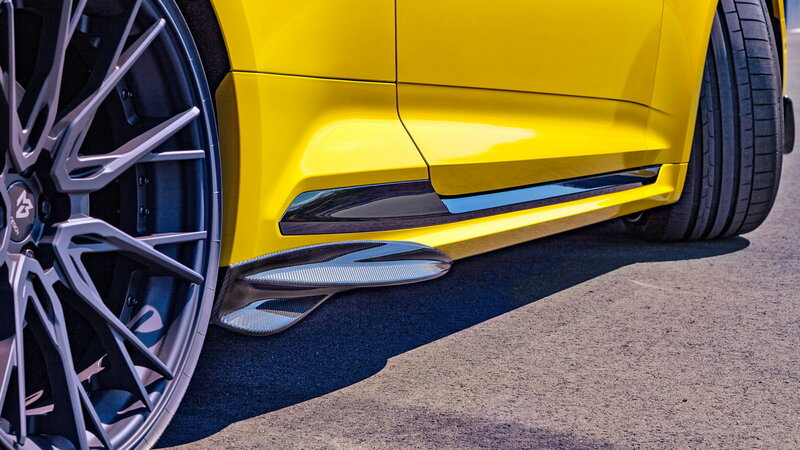 For the stance crowd, the car is dropped on sport springs and a set of hefty 21-inch wheels. 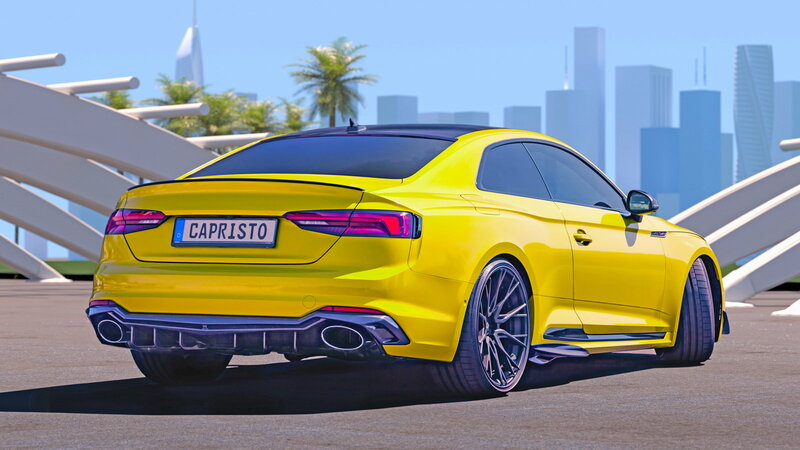 What do you all think of the Capristo RS5 B9? Should there be power mods to go with the aero pieces? Are engine dress up bits icing on the cake or an exercise in the extreme sport category of burning money?